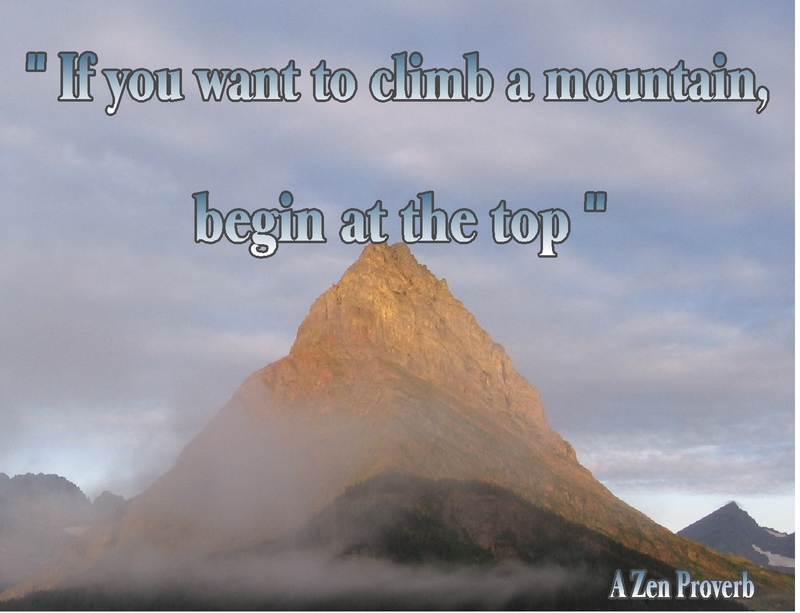 I saw the quote, “If you want to climb a mountain, begin at the top” in a post titled “Begin at the Top,” on Thomas Craig’s blog Zen Revolution. I highly recommend linking to that post and reading the ideas. 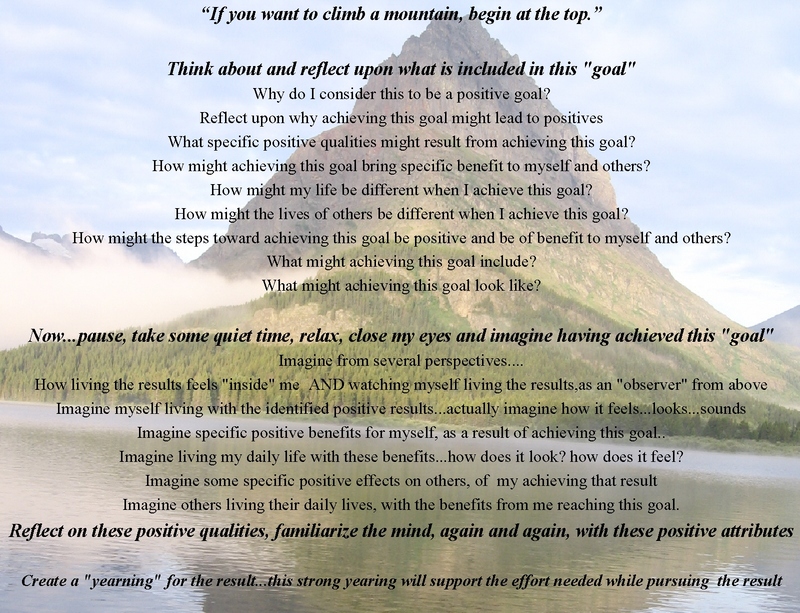 After reading and reflecting upon the ideas, and then taking a meditation class that specified some steps for working toward goals, I came up with a few additional ideas… ideas to support developing a deeper awareness of the potential benefits of any goal and to use that awareness of the benefits to help motivate, empower and inspire the sustained effort that will be needed to work toward it. 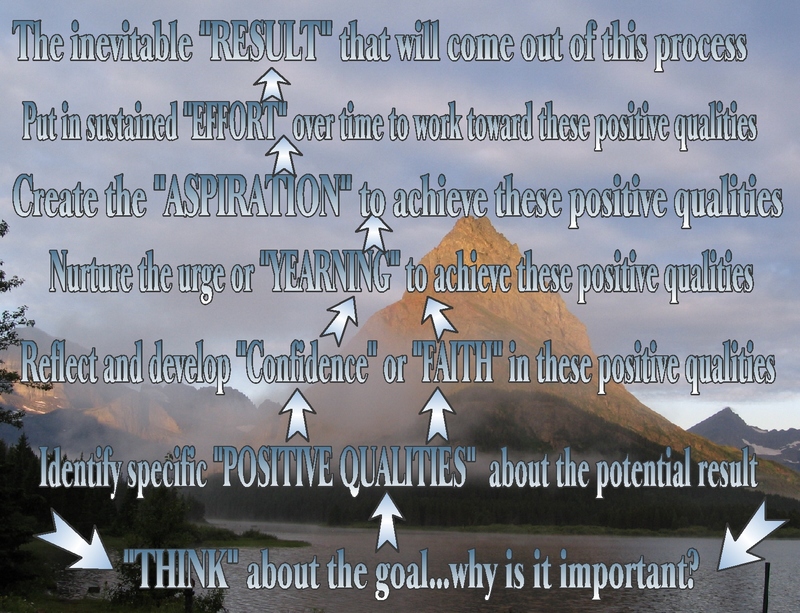 It can be really helpful to identify the potential, positive qualities that might come out of being able to achieve any goal. 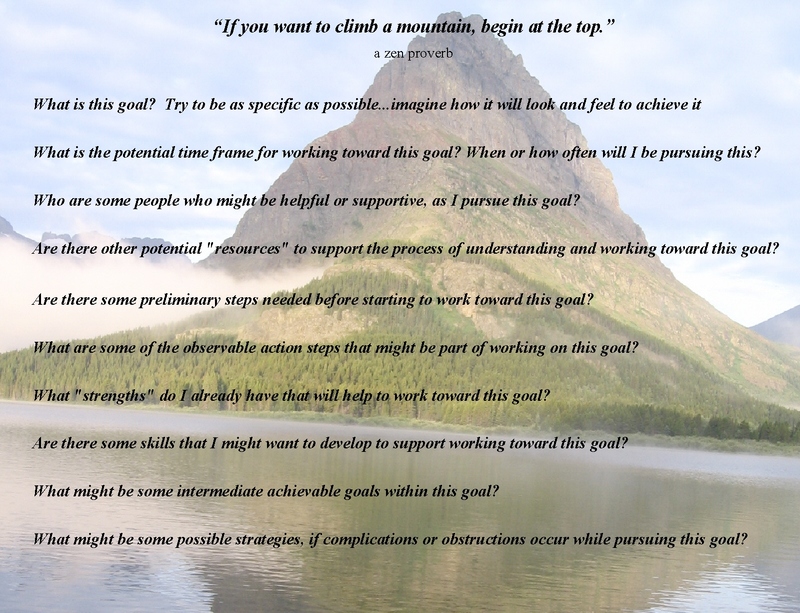 And then, continuing to think of a sequence of steps that will support working toward that goal. Starting at the bottom of the following page and working one’s way up…. 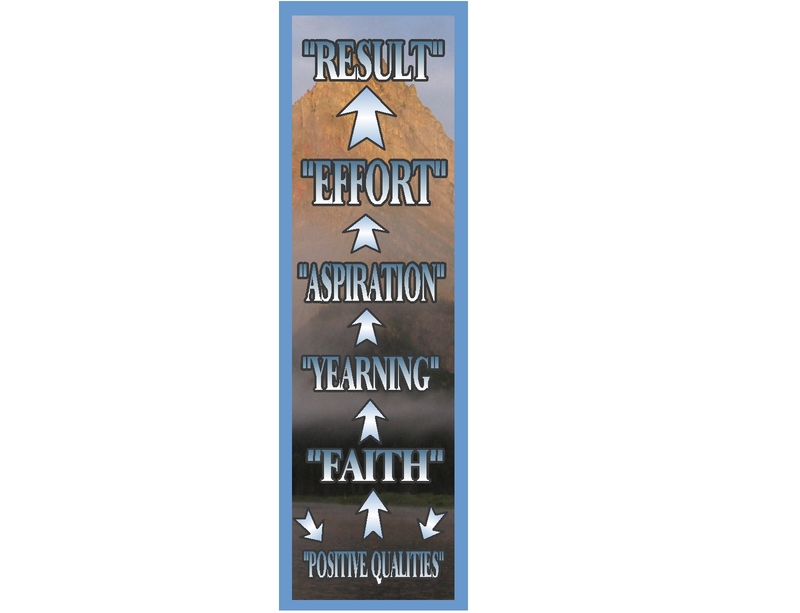 in how important those qualities would be in one’s life…. 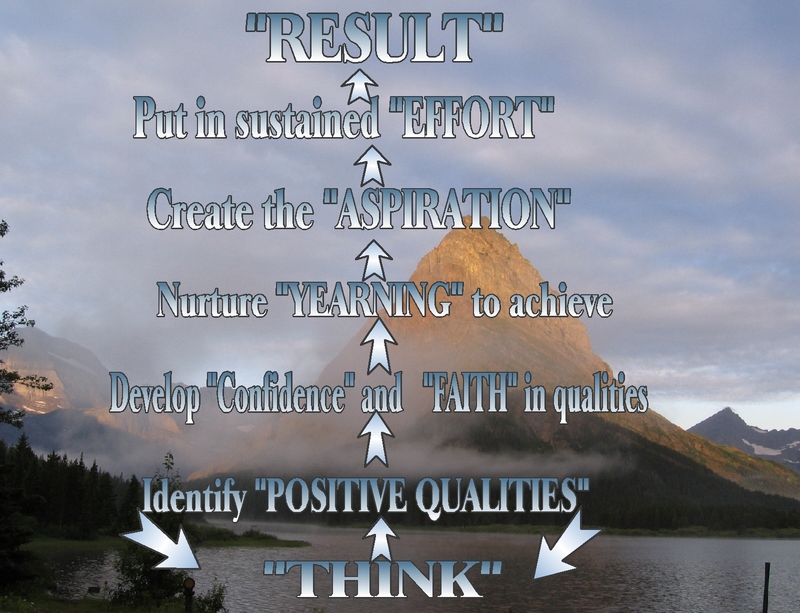 to develop a deep “yearning” and “aspiration” for those qualities…..
to put in the needed “effort” to work toward those qualities…. the “result” that will come out of that effort…. This entry was posted in Encouragement, Motivation, Personal growth and tagged Buddhism, Encouragement, Inspiration, Intention, Life, Meditation, Mindfulness, Motivation, Spirituality, Strength, Wisdom. Bookmark the permalink. Thanks, Debra… I think it’s a really helpful saying, too. I find using that sequence helpful…I got it from a series of talks by a remarkable Tibetan Buddhist monk. Love this. I’m all about “big picture” thinking to clarify what each small step is leading towards. 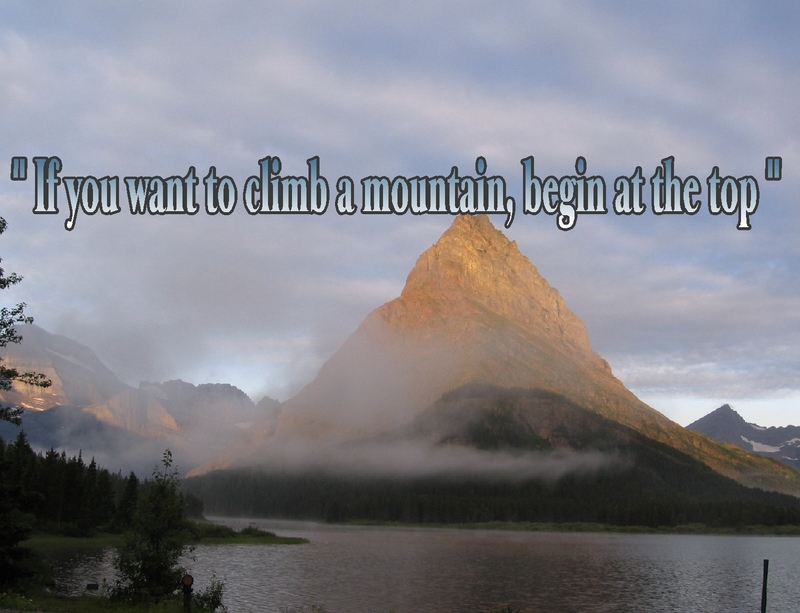 Thanks for the motivation – I think I’m going to consider my own mountain today and what it will look like at the top. btw… I’ve been meaning to give others a “heads up” about your new blog… Year of Jamaica. I love reading about what you’re doing and writing about…you experiences and insights. Honey thankyou so much – I’m having a tough week and just reading this has put a huge smile on my face. Its crazy to think that me trying to find the strength to keep trying and have faith in myself two years ago then helped you to find the same thing when you needed it. And now I need it and you’re the one helping me rediscover it! I do remember you saying you had that quote taped to your wall, but I certainly didn’t think it would still be there after all that time! I’m so happy you have held onto that inspiration and that we found each other in cyberspace, truly. And its wonderful that so many people have now found your blog and can share the love and inspiration – you deserve it!